I'm going to be honest, I've never brought anything from Urban Decay before, I've heard so many great things about how good the brand are and how the products are great and the pigmentation is amazing but I've always thought the price was too steep so I've never brought anything from there. But I was thinking recently after my trip to MAC, that ill happily pay £14 or a concealer or over £20 for a foundation but I wont buy anything from Urban Decay, I thought it was a bit silly so I popped into my local Debenhams and to the Concession stand and after playing around with most of the products (and the sales guy was drawing on my hand with every product going) I decided to treat myself with the Naked 3 palette. I knew I had to buy the Naked 3 even though I haven't got the other 2, the reviews from this one were amazing so why not! when I got home it was the first thing I opened and the packaging is so pretty I didn't want to open it! After staring at it for a few minutes I opened it to find the most amazing neutral and shimmery shades I've ever seen. 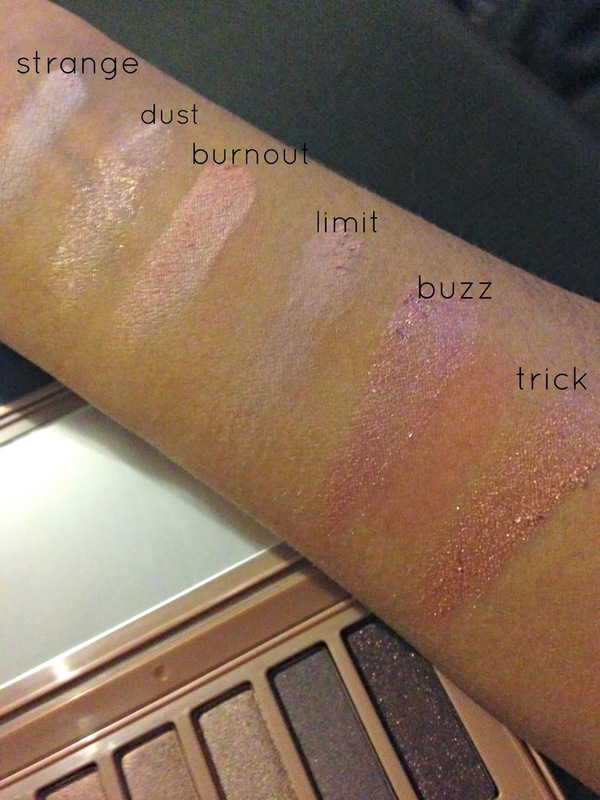 The shimmer from them looked amazing and I knew they were going to be super pigmented. In the package you get a total of 12 shades starting from a shimmery highlighter to a dark, vampy purple. I was in love! Overall I really love this palette. 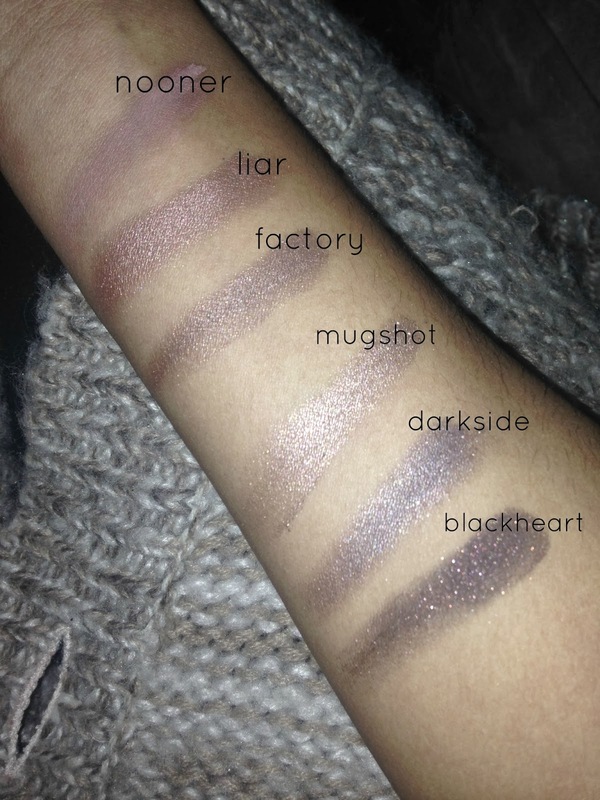 The pigmentation on all of the shadows are amazing and they really do last all day and don't move when your applying them!